This is a romantic, rustic invitation which would be a perfect fit for winter weddings. 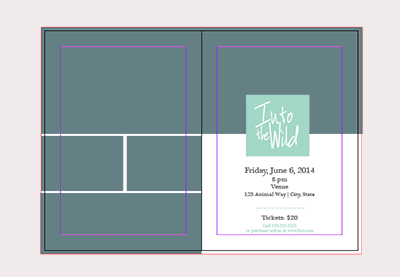 Learn how to create this wintry invite in Adobe InDesign. Fall is such a romantic and atmospheric time of year to get married. Learn to create a fall-themed wedding invitation in Adobe InDesign. Looking for something ornate and elegant for your wedding invitations? This easy-to-create design pays tribute to Rococo or ‘Late Baroque’ style.